All The Oaks homes currently listed for sale in Canyon Lake as of 04/20/2019 are shown below. You can change the search criteria at any time by pressing the 'Change Search' button below. "DOUBLE LOT!!! This two story gem sits in the heart of a well established neighborhood, only minutes walking distance from beautiful Canyon Lake. This lake house comes ready to entertain with its wide open floor plan, wrap around second story deck and comes with a fully equipped guest house for visitors or in-laws. The second lot is perfect for storing rvs and boats for those days on the lake. Bring your buyers. 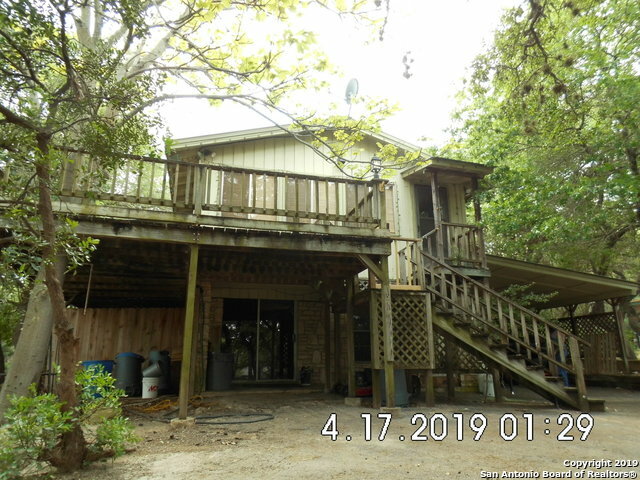 They will enjoy spending their days on the lake and feeding the deer from their fron"
"Lovely lake home extensive decking & great bones; Fresh paint and carpet, plus other improvements! Great neighborhood w/pool, lakefront parks for residents only & boat ramps nearby; quiet cul de sac street and lakeviews from decks & master. Newer appliances; raised seam metal roof 8 yrs old; 2 yr old Lennox AC; Oversized garage w/shelving & access to partially floor additional storage; Fully enclosed back yard! Plenty of parking for RV and/or boat. Lovely oaks front and back. Vacant now!"